How much business are you throwing away because of untrained receptionists? Your receptionists can make or break your marketing and your patient referrals. Inexperienced, poorly trained receptionists can inadvertently send prospective patients away in droves! A good receptionist should be scheduling at least 60 to 70 percent of new patient calls that come in from good marketing. Most untrained or inexperienced receptionists’ scheduling ratio is around 35 percent. The really poor ones schedule only 10 percent or less of the calls coming in. 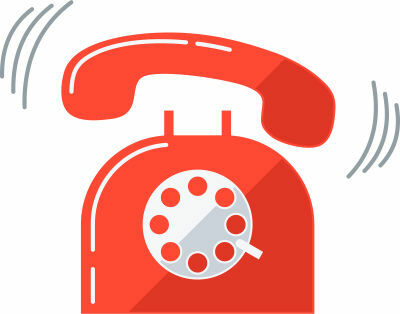 If you think your receptionists are scheduling below 60 percent, you should give us a call. For clients who are on our call tracking service, we can also provide you with your office’s scheduling ratio and examples of your receptionists calls to listen to. Here is a true-life example of a receptionist who didn’t understand what the patient was asking for (a fairly common issue), reenacted for our new training CD. Click below to listen! We have listened to many thousands of new patient calls into dental practices as part of our call tracking service and we have isolated the main issues receptionists run into. We have created a custom program to address these issues. You might not know it, but your receptionists can be guilty of one or more of many different flaws that are causing you to have a lower-than-optimum scheduling ratio. Such as, poor phone manners, a bored, unfriendly or disinterested tone, answering questions and not trying to schedule, a poor understanding of your services, poor handling of price and insurance questions, and many more. 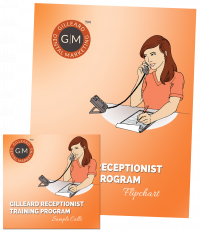 Our Receptionist Training Program is completely customized to your practice. We listen to two weeks’ worth of each receptionist’s calls and create a customized plan for each to improve their skills. We also conduct an on-site in-person interviews to further probe into the difficulties each receptionist is running into. Our program includes a flip chart with scripts for the main scenarios your receptionists run into and a CD with sample bad and good calls. We offer one- and two-day on-site training programs plus two months of follow-up phone training. Phone coaching packages are also available for receptionists that are already trained and only need a refinement of their skills. Call 855-486-2410 for more information or click here to contact us online.